Hello, lovelies! 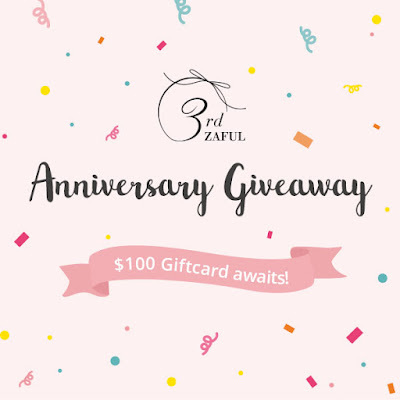 So, have you joined the ZAFUL 3rd year Anniversary Giveaway yet? This is in relation to the celebration of one of the biggest online fashion store now and on the top list of my favorite stores, I frequent none other than ZAFUL who is celebrating their 3rd Anniversary on 15th June! I have first announced this anniversary giveaway from my previous post here but in case you missed it, you can find the giveaway details before the end of this post. 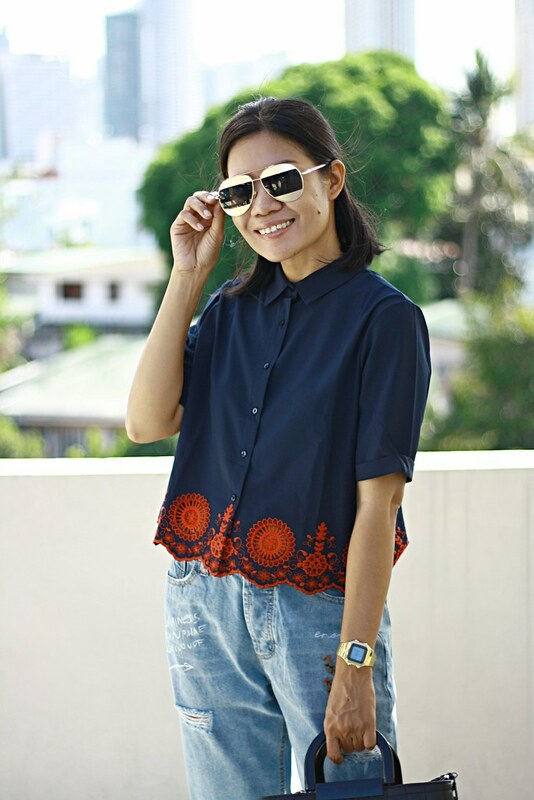 Okay, for today's style post, I am featuring an embroidered top and bottom from ZAFUL. 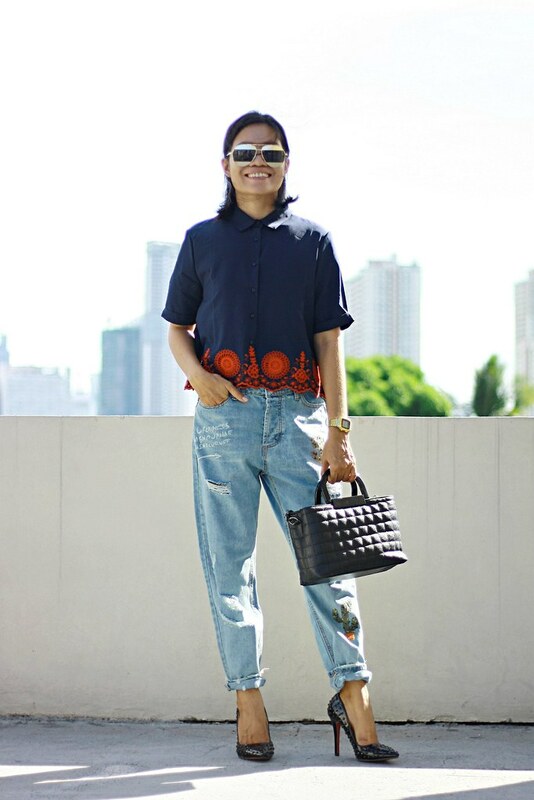 I'm casual denim shorts and t-shirt kind of girl but when loose jeans with ripped or frayed design came out, I instantly been fond of wearing it, too. Anything about comfort when you're getting old. Haha! Who says you can't wear a ripped jeans to work? I just did. Balancing is the key. 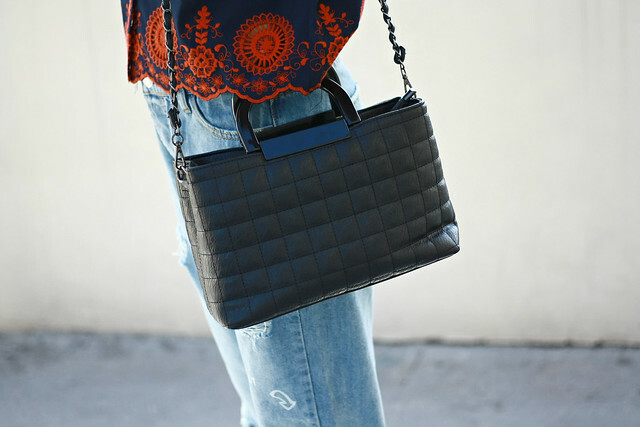 I pair it with this button-down collar top, stiletto heels and quilted bag. I hope you find an inspiration on today's post and if you want a $100 gift card, just continue scrolling down. 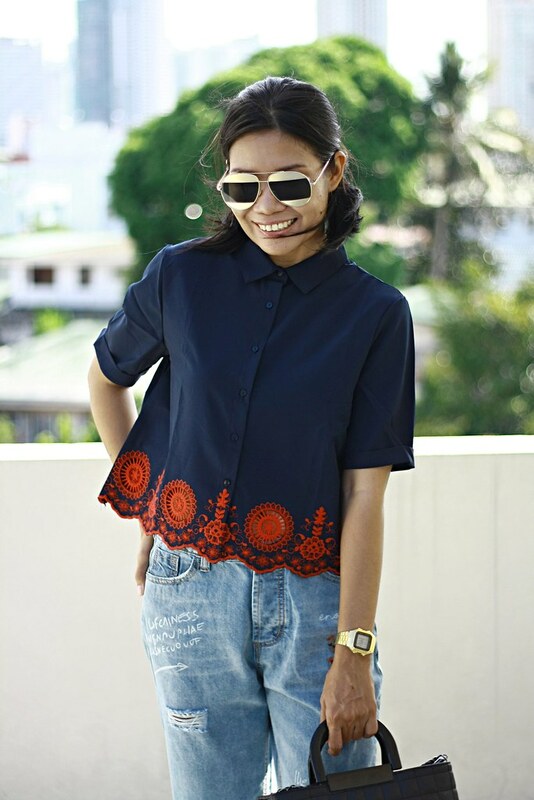 This embroidered hollow-out scalloped shirt got my attention when I was browsing tops in Zaful. The very detailed embroidery speaks vintage yet looks classy. The embroidery is just so beautiful in loud red. 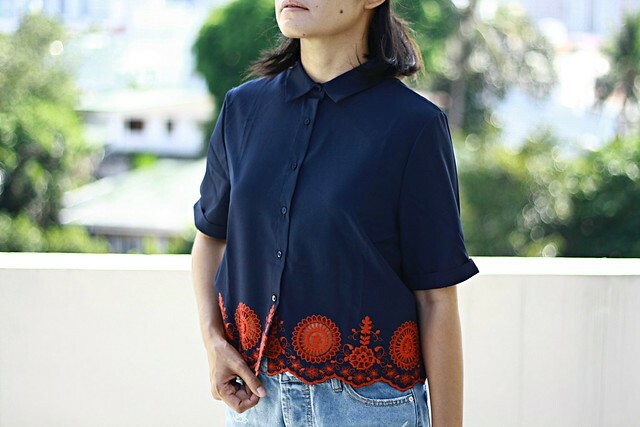 It is perfect as workwear with its collar and button-down design. It is true to size; I'm wearing Medium. I ordered this embroidered ripped jeans because of its minimal rips, minimal embroidery and faded color. It looks so light in the yes and not heavy. Agree? I'm impressed with this jeans' fabric. It's super soft and light weight. The material is not thin, though. I'm glad I based my size on the size chart they provided on the product page and ordered Large size because it fits fine on me. I strongly recommend checking thoroughly the size base on their chart before ordering. I recommend this ripped jeans if you want something that isn't too loud or should I say not too ripped. very chic ! 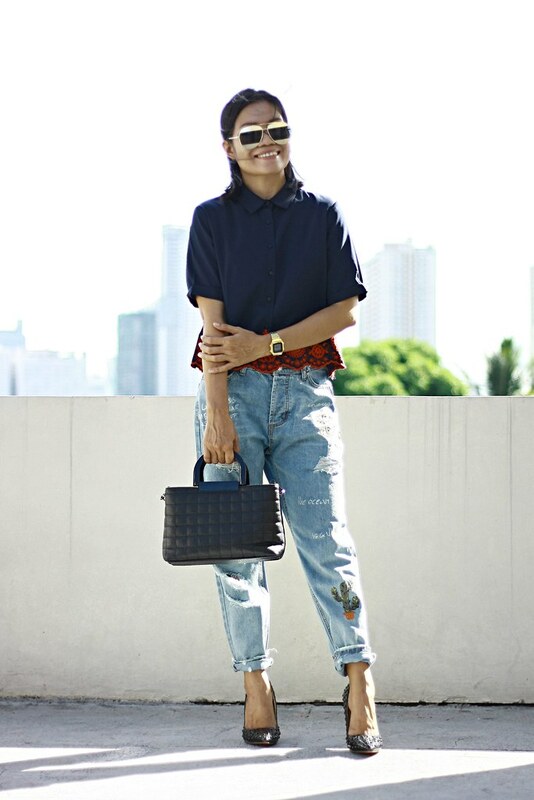 love the jeans !